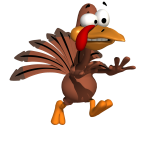 Come run with us on Thanksgiving morning! All age group winners win a pumpkin pie. New this year: any participants racing in costume get a free photo download! 8:30 AM 5K, 10k Bring the whole family – enjoy the muffins, juice, and chocolate milk. 10:15 AM Kidathon Non-timed Kids ages 0 – 11 run the non-timed race, which is about 1/4 mile. All kids receive a ribbon – Parents may purchase UberKids medals for $10 to give to their kids. This Thanksgiving holiday help those in need by participating in the 6th Annual Town of Palm Beach United Way 5K Turkey Trot sponsored by Livingston Builders. Before you stuff your face, kick-off your holiday by joining along with family, friends and neighbors for the only race on the island of Palm Beach. 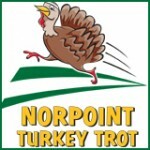 Run or walk with family and friends in the 18th annual Norpoint Turkey Trot on Thanksgiving morning. This yearly tradition features a chip-timed 5k run along with a 2-mile run/walk and kids’ dash. Thanksgiving themed 5K run/walk at Green Lake Park in Seattle that includes a post-run mashed potato competitive eating contest, a free kids dash and an exhibitor area. Funds support Seattle’s Union Gospel Mission.